3) We do not send you marketing communications unless you have asked us to. You can change your mind at any time. 4) We never offer or sell your data. 5) We are committed to keeping your data safe and secure. This includes only working with trusted partners. 6) We are committed to being open and transparent about how we use your data. 7) We do not use your data in ways that we have not told you about. 8) We respect your rights, and always try to accommodate your requests as far as is possible, in line with our own legal and operational responsibilities. The more you interact with us, the more you let us know you and the more we are able to offer you tailored services. What data do we collect from you and how do use it? Who may access your personal data? Please note that you must be at least 13 years old or older to use our services, or older where the terms for a specific service require this. 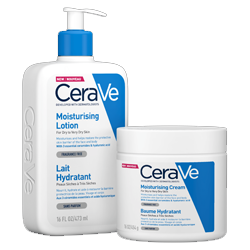 CeraVe is a part of the L’Oreal Hong Kong Limited brand portfolio. L’Oreal Hong Kong Limited is responsible for the personal data that you share with us. When we say “L’Oréal”, “us”, “our” or “we”, this is who we are referring to. L’Oréal is a “data user” for the purposes of the Personal Data (Privacy) Ordinance (Cap. 486). Please see the “Contact Us” section for our contact details. L’Oréal represents several different brands and products. For more information on L’Oréal, and the brands it represents, please see http://www.loreal.hk/en-hk/ . L’Oréal is part of the L’Oréal Group, which operates in 140 countries around the world. For details on the L’Oréal Group, please see http://www.loreal.com/group . You may also contact [email protected] for any questions related to the processing of your personal data. “Personal data” means any information or pieces of information that could identify you either directly (e.g. your name) or indirectly (e.g. through pseudonymized data such as a unique ID number). This means that personal data includes things like email/home addresses/mobile phone, usernames, profile pictures, personal preferences and shopping habits, user generated content, financial information, and welfare information. It could also include unique numerical identifiers like your computer’s IP address or your mobile device’s MAC address, as well as cookies. WHAT DATA DO WE COLLECT FROM YOU AND HOW DO WE USE IT? L'Oréal believes that you, the consumer, are at the heart of what we do. We love hearing from you, learning about you, and creating and delivering products that you enjoy. And we know that many of you love talking to us. Because of this, there are many ways that you might share your personal data with us, and that we might collect it. We might collect or receive data from you via our websites, forms, apps, devices, L’Oréal products or brands pages on social media or otherwise. Sometimes you give this to us directly (e.g. when you create an account, when you contact us, when you purchase from our websites/apps or stores/beauty salon), sometimes we collect it (e.g. using cookies to understand how you use our websites/apps) or sometimes we receive your data from other third parties, including other L’Oréal Group entities. - comply with legal requirements (e.g. invoicing). If you do not provide the data marked with an asterisk, this may affect our ability to provide the products and services. 1) During what interaction your data may be provided or collected? This column explains what activity or situation you are involved in when we use or collect your data. For example, whether you are making a purchase, signing up to a newsletter, or browsing a website/app. 2) What personal data may we receive from you directly or resulting from your interaction with us? This column explains what types of data we may collect about you depending on the situation. 3) How and why we may use it? This column explains what we may do with your data and the purposes for collecting it. 4) What is the legal basis for using your personal data? This column explains the reason we may use your data. § Improvement of our products and services: more specifically, our business interests to help us better understand your needs and expectations and therefore improve our services, websites / Apps / devices, products and brands for our consumers’ benefit. § Fraud prevention: to ensure payment is complete and free from fraud and misappropriation. § Securing our tools: to keep tools used by you (our websites/Apps/devices) safe and secure and to ensure they are working properly and are continually improving. Legal grounds where a processing is required by law. During which interactions may you provide and we may collect your data? What personal data may we receive from you directly or resulting from your interaction with us? How and why we may use your data? Information collected during the creation of an account on L’Oréal websites/apps, through a social media login, or in store. social media profile (where you use social login or share this personal data with us). To provide you with the service you requested (e.g. create an account, complete a survey, or purchasing a product). To send you direct marketing communications. To ensure our websites/apps remain secure, to protect them against fraud, and to help us better understand your needs and expectations and therefore improve our services, products and brands. run analytics or collect statistics. to help us better understand your needs and expectations and therefore improve our services, products and brands. To keep your details on a suppression list if you have asked us not to send you any direct marketing anymore. To provide you with the service you requested (purchase). To protect you and us from fraudulent transaction and to ensure the payment is complete and free from fraud and misappropriation. 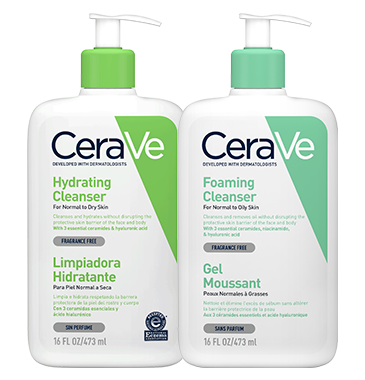 Information collected by cookies or similar technologies (“ Cookies”*) as part of your browsing on L’Oréal website / apps and/or on third-party website / apps. For information on specific Cookies placed through a given website/app, please consult the relevant cookie table. * Cookies are small text files stored on your device (computer, tablet or mobile) when you are on the Internet, including on L’Oréal Group’s websites. products you selected to create your basket. A unique identifier granted to each visitor and the expiration date of such identifier. o to know how you discovered our websites / apps. To ensure we are providing you with websites / apps, advertising and communications that are working properly and are continually improving for cookies that are (i) essential for the functioning of our websites / apps, (ii) used to keep our websites/apps safe and secure. o to show you ads and content on social media platforms. to allow sharing of our content on social media (sharing buttons intended to display the site). Information collected during a game, contests, promotional offer, sample requests, surveys. other information you have shared with us about yourself (e.g. via your “My Account” page, by contacting us, or by providing your own content such as photos or a review, or a question via the chat function available on some websites/apps, or by participating in a contest, game, survey). To provide you with the service you requested. Information collected when you submitted some content on one of our social platforms or accepted the re-use of content you posted on social media platforms by us. other information you have shared with us about yourself (e.g. via your “My Account” page, by contacting us, or by providing your own content such as photos or a review, or a question via the chat function available on some websites/apps). o to promote our products. To reuse the content you posted online. To help us better understand your needs and expectations and therefore improve and promote our services, products and brands. Information collected as part of your use of our Apps and/or devices. To provide you with the service requested (including, where needed, analysis by the research and innovation team of the algorithm necessary to provide the service). To always improve our products and services to match your needs and expectations and for research and innovation purposes. Information collected when you ask questions (e.g. through our consumer care) relating to our brands, our products and their use. other information you have shared with us about yourself in relation to your enquiry (which may include welfare and health data). To help us better understand our customers’ needs and expectations and therefore improve our services, products and brands. o to perform and follow-up on corrective measures taken, where needed. To comply with the legal obligation to monitor undesirable effects of its products. To send information on our products and or information tagged in a wish list to a person at another person’s request. To contact the person at another person’s request. For purposes of securing transactions placed through our websites/apps/devices against fraud and misappropriation, we use third party provider’s solution(s).The method of fraud detection is based on, for example, simple comparisons, association, clustering, prediction and outlier detections using intelligent agents, data fusion techniques and various data mining techniques. This fraud detection process may be completely automated or may involve human intervention where a person takes the final decision. In any case, we take all reasonable precautions and safeguards to limit access to your data. As a result of automatic fraud detection, you may (i) experience delay in the processing of your order / request whilst your transaction is being reviewed by us; and (ii) be limited or excluded from the benefit of a service if a risk of fraud is identified. You have the right to access information on which we base our decision. Please see “Your Rights and Choices” section below. When we send or display personalised communications or content, we may use some techniques qualified as “profiling” (i.e. any form of automated processing of personal data consisting of using those data to evaluate certain personal aspects relating to a natural person, in particular to analyse or predict aspects concerning that natural person’s personal preferences, interests, economic situation, behaviour, location, health, reliability, or movements). This means that we may collect personal data about you in the different scenarios mentioned in the table above. We centralize this data and analyse it to evaluate and predict your personal preferences and/or interests. Based on our analysis, we send or display communications and/or content tailored to your interests/needs. You have the right to object to the use of your data for “profiling” in certain circumstances. Please see “Your Rights and Choices” section below. We may share your personal data within L’Oréal Group to comply with our legal obligations, to prevent fraud and/or to secure our tools, to improve our products and services, or after having obtained your consent to do so. Depending on the purposes for which they were collected, and only on a need-to-know basis some of your personal data may be accessed by L’Oréal Group entities worldwide, where possible in a pseudonimized way (not allowing direct identification), and where necessary to provide you with requested services. We may also share your personal data in a pseudonimized way (not allowing direct identification) with L’Oréal Research & Innovation scientists, including those located outside of your country, for research and innovation purposes. Where permitted, we may also share some of your personal data including those collected through Cookies between our brands to harmonize and update the information you share with us, to perform statistics based on your characteristics and to tailor our communications. Please visit the L’Oréal group website, for further details on theL’Oréal Group, its brands and its locations . We may share your personal data for marketing purposes with third party or entities of the L’Oréal Group. We only share your personal data with third parties for direct marketing purposes with your consent. In this context, your data is processed by such third party, acting as a data user, and its own terms and conditions and privacy notice apply. You should carefully check their documentation before consenting to the disclosure of your information to that third party. Your personal data may also be processed on our behalf by our trusted third party providers . third parties that assist us for customer care and post-market surveillance purposes. if we are permitted to do so by law. We do not offer or sell your personal data. The data that we collect from you may be transferred to, accessed from, and stored at a destination outside Hong Kong SAR. It may also be processed by staff members operating outside the Hong Kong SAR who work for us or for one of our service providers. L’Oréal transfers personal data outside of the Hong Kong SAR only in a secure and lawful way. As some countries may not have laws governing the use and transfer of personal data, we take steps to make sure that third parties adhere to the commitments set out in this Policy. These steps may include reviewing third parties’ privacy and security standards and/or entering into appropriate contracts. For further information, please contact us as per the “Contact” section below. where cookies are placed on your computer, we keep them for as long as necessary to achieve their purposes (e.g. for the duration of a session for shopping cart cookies or session ID cookies) and for a period defined in accordance with local regulations and guidance. We are committed to keeping your personal data secure, and taking all reasonable precautions to do so. We contractually require that trusted third parties who handle your personal data for us do the same. We always do our best to protect your personal data and once we have received your personal data, we use strict procedures and security features to try to prevent unauthorised access. As the transmission of information via the internet is not completely secure, we cannot guarantee the security of your data transmitted to our site. As such, any transmission is at your own risk. Some of our websites and Apps allow users to submit their own content. Please remember that any content submitted to one of our social media platforms can be viewed by the public, so you should be cautious about providing certain personal data e.g. financial information or address details. We are not responsible for any actions taken by other individuals if you post personal data on one of our social media platforms and we recommend that you do not share such information. You have the right to obtain clear, transparent and easily understandable information about how we use your personal data, and your rights. This is why we are providing you with the information in this Policy. You have the right to access to the personal data we hold about you (subject to certain restrictions). We may charge a reasonable fee taking into account the administrative costs of providing the information. Requests manifestly unfounded, excessive or repetitive may not be answered to. To do this, please contact us at the details below. You have the right to have your personal data rectified if it is incorrect or outdated and/or completed if it is incomplete. To do this, please contact us at the details below. If you have an account, please correct your own data via your “My Account” function. You can unsubscribe or opt out of our direct marketing communication at any time. It is easiest to do this by clicking on the “unsubscribe” link in any email or communication we send you. Otherwise, you can contact us using contact detail below. If you would like to object to any profiling, please contact us at the details below. You can withdraw your consent to our processing of your data when such processing is based on consent. The withdrawal of consent shall not affect the lawfulness of processing based on consent before its withdrawal. We refer to the table inserted in section “what data do we collect from you and how do we use it” especially the column “What is our legal basis for processing your data?” to identify where our processing is based on consent. If you would like to object to withdraw your consent, please contact us at the details below. To deal with your request, we may require proof of your identity. Cookies are small text files stored on your device (computer, tablet or mobile) when you are on the Internet, including on L’Oréal Group’s websites. For more information, please consult the following links: http://www.aboutcookies.org . Session cookies enable the website you are visiting to keep track of your movement from page to page so you don't get asked for the same information you've already given to the site. They are automatically deleted when you close your browser. To join/like our pages using such social media tools.